This weekend, summer flirted with us all. White pasty bodies exposed themselves, ice creams were bought and people seemed a lot happier. For me, it was all about chicken wire. No we don’t own chickens. Well, not yet anyway! This year’s pea frame is of wire and pole. Over the years I’ve created the most weird and wonderful pea frames. From the artistic to the outrageous, designs Damien Hirst would be proud of. However, this year some unwanted chicken wire came into my possession, so I thought I would go with ‘less is more’. 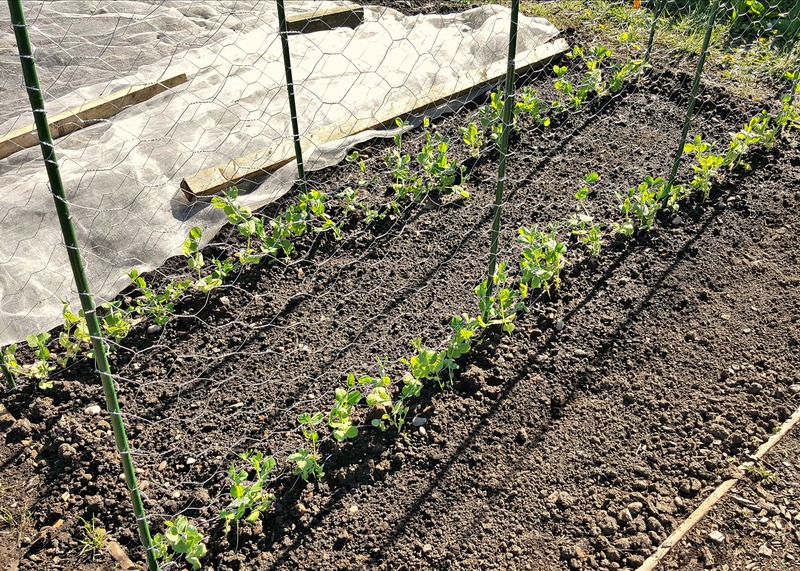 For now I’ve got two rows, but once my peas take-off, I’ll add further rows. It’s all about staggering the harvest, trying to avoid the glut and not annoying Agent Soph in the kitchen. Has she told you the story of the time I came home with eight broccoli? Soph had just sat-down in front of Midsomer Murders with a cheeky glass of red wine, when I walked in holding aloft my green trophies. From enjoying the sultry tones of DCI Barnaby to spending her evening blanching brassicas, Agent Soph’s night was ruined. So this year I will try to stagger things a little more. 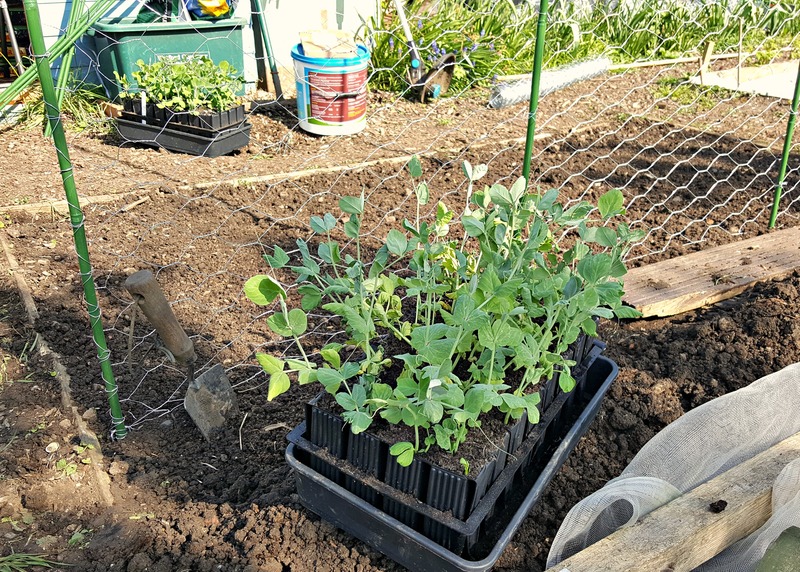 With frames secured, it was time to get my growing peas out of the polytunnel and into the ground. This year I’ve opted for two varieties, the dark purple pods of the Blauwschokker, and Hurst Green Shaft. 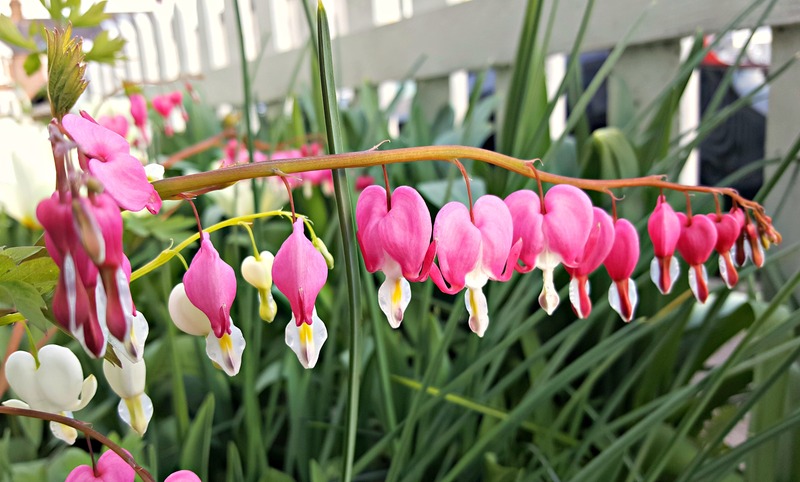 The red and green should look wonderful together, and add some well needed colour to the plot. Don’t forget tomorrow marks the start of National Gardening Week, a time for gardens and gardeners to shine. This year’s theme is ‘encouraging new gardeners to get involved’. To read more, why not checkout my recent article in Kitchen Garden Magazine. Agent Soph here. Midsomer Murders??? What???! Wow, your pea frame looks really good! Wowsah! Those are some peas. In Maine, we hope to get our first crop by the Fourth of July. You’ll get yours much, much sooner. Your peas look beautifully healthy – just wondering if you have any pigeon problems there? My peas were all demolished at a similar stage last year so fear I’ll have to cover them to keep the varmits away…. Hi Ruth, we always get a hooded gang of pigeons hanging round the corner of the plot, so I do net my peas until they’re about a foot high. Failing that, someone I know surrounds his peas with twigs and sticks to keep the buggers away. Hope it helps, best of luck! Fingers crossed for a happea outcome … and no murders! 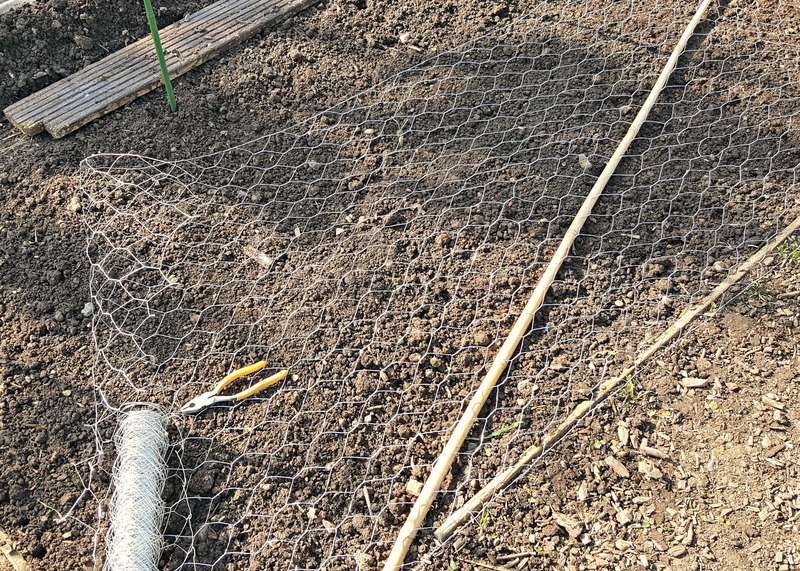 Still using pea sticks here, but the guy in the house next to the allotment plot is claiming the hedge, has cut it down and my supply is gone: chicken wire seems like a good idea. Cheers. I’ve been the same about pea fences (brush, sticks, poles, etc.) and gradually shifted to the chicken wire as well. Mine’s on T-posts, so some years it just stays up all winter and survives snow and the wild turkeys without trouble. YOu have wild turkeys, how exciting. The chicken wire seems to be working wonders.